At this week’s Haverstraw Town Board meeting, three North Rockland High School Thomas F.X. 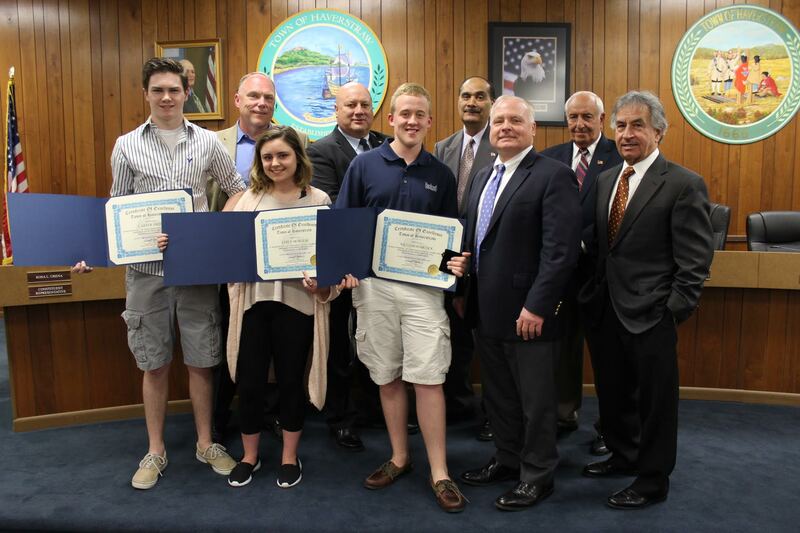 Casey Social Studies Honor Society students presented their Rockland County championship winning “Haverstraw Landslide” project to the Town Board and all in attendance at the meeting. The winning students are Emily Morgese, William Babcock and Carter Smith. Their project came in first place at the 2017 High School History Conference hosted by the Historical Society of Rockland County. Supervisor Howard T. Phillips, Jr. and the Haverstraw Town Board congratulated the students on their winning entry and presented them with Certificates of Excellence and Haverstraw 400th Anniversary Commemorative coins for their first Place “Haverstraw Landslide” project.